Personnel of Mobile Hospital 2. Jane Rignel, Chief Nurse, is highlighted with officers and nurses of Mobile Hospital No. 2. 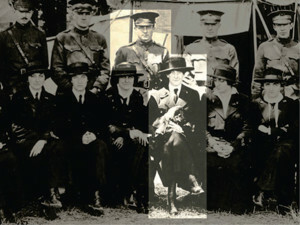 Rignel was awarded the Citation Star for her valor on July 15, 1918 with Mobile Hospital No. 2. With the ongoing commemoration of the World War I centennial and in honor of May 6 — 12 as National Nurses Week, it is only appropriate to remember the contributions of Army nurses and their lifesaving, sacrificial work during the war. Three Army nurses — Jane Rignel, Linnie Leckrone and Irene Robar — were awarded the Silver Star for their roles in saving lives in France. 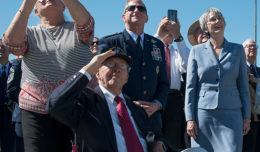 The Silver Star –established in 1918 as the Citation Star, and then changed to its current name in 1932 — is the third highest military award for heroism in combat. In 1932, the Silver Star had a retroactive provision that allowed service members as far back as the Spanish-American War to exchange the Citation Star for a Silver Star. Rignel was awarded the Citation Star for her valorous actions on July 15, 1918 with Mobile Hospital No. 2. Leckrone and Robar were also awarded the Citation Star for their courage on July 29, 1918 while attached to Field Hospital No. 127 as members of a specially trained shock team. Rignel was the Chief Nurse of Mobile Hospital No. 2, attached to the 42nd Division. She had as many as 22 nurses under her supervision. She was awarded the Citation Star for her courage in providing aid to wounded soldiers under heavy enemy fire on July 15, 1918 near Bussey le Chateau, France. During World War I, mobile hospitals were an early version of the Combat Support Hospital. These units followed the combat units they supported and could set up for patients in only a few hours. 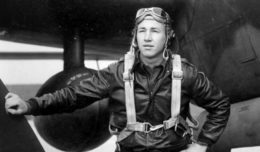 Rignel’s heroism began during an artillery barrage that starting at 11:40 p.m. on July 14. Ambulances began arriving around 2 a.m. on July 15, and by 3:00 a.m. the shock ward was packed. By 6 a.m., 75 patients had arrived, and eight operating teams were saving lives. At 7:30 a.m. on July 15, the order to evacuate patients to an underground dugout came after shells landed on the hospital. Before the patients could be moved, the triage and surgical areas were seriously damaged by two direct hits. As many as five may have been killed during the direct hits. Through it all, Rignel led her team of nurses with courage and determination. Leckrone and Robar, both Army Nurse Corps, were at Field Hospital No. 127 (or Field 127), a unit of the 32nd Division. They were also awarded the Citation Star for courage while caring for the wounded during an artillery bombardment on July 29, 1918 in Chateau-Thierry, France. Leckrone and Robar were the two nurses of Shock Team No. 134, which was attached to Field Hospital No. 127. World War I doctrine had field hospitals closest to the front line. Although nurses were initially not assigned duty in a field hospital, a number of them were temporarily attached as part of specialty teams that supplemented hospital staff as needed. Mobile Hospital No. 2. 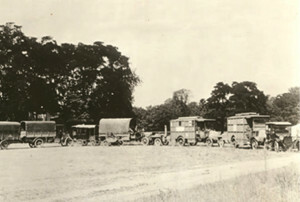 During World War I, mobile hospitals were an early version of the Combat Support Hospital. These units followed the combat units they supported and could set up for patients in only a few hours. Jane Rignel was the Chief Nurse of Mobile Hospital No. 2 attached to the 42nd Division and awarded Citation Star (later changed to Silver Star) for her courage in July 1918. Leckrone and Robar were part of a shock team. The job of the shock team was the resuscitation of wounded soldiers who had significant blood loss and were unlikely to survive immediate surgery. Rignel, Leckrone and Robar are not names that come to mind when the list of nurse heroes are written down. Florence Nightingale, Clara Barton and Dorothea Dix are names frequently mentioned. Yet the story of the Army Nurse Corps is filled with brave women and men who deserve recognition for their courage under fire, willingness to deploy, and compassion and caring for the sick and injured. The Army Nurse Corps was established in 1901. The importance of nurses as integral and indispensable components of care in Army Medicine can never be questioned. That has been true throughout American history. The need for nursing care was addressed in July 1775 when the Second Continental Congress authorized medical support for the Continental Army, including one nurse for every 10 patients. This week — National Nurses Week — we recognize and thank Rignel, Leckrone and Robar and all others of the Army Nurse Corps who served with dignity and professionalism, courage and grace, past and present.